The second Saint Paul confectionary collaboration between Tin Whiskers Brewing Company and the Pearson’s Candy Company taps this Friday, April 19th in the Tin Whiskers taproom! Yes, you read that right. 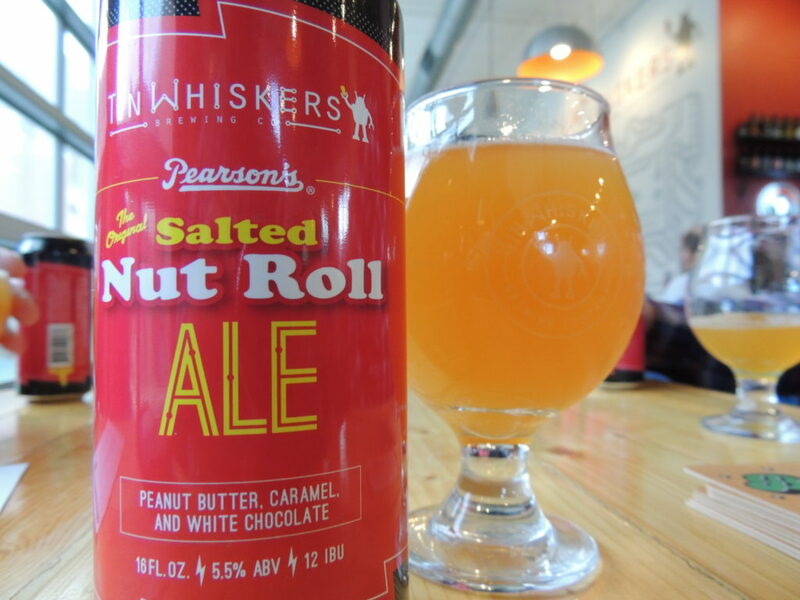 On the heels of the successful Nut Goodie Porter, Tin Whiskers and Pearson’s have teamed up again. Only this time, they are featuring quite possibly the most iconic candy Minnesota has ever seen in their Salted Nut Roll Ale! Don’t Worry, They Made More. 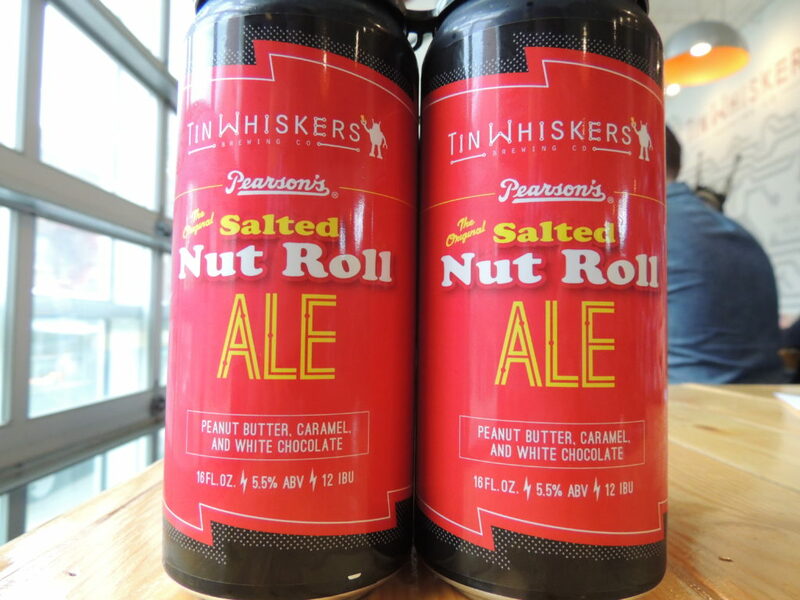 . .
Tin Whiskers has doubled down on the amount of Salted Nut Roll Ale that they brewed compared to what the did for the Nut Goodie Porter. I am talking right around 400 cases of this stuff with plenty in reserve should they need it. 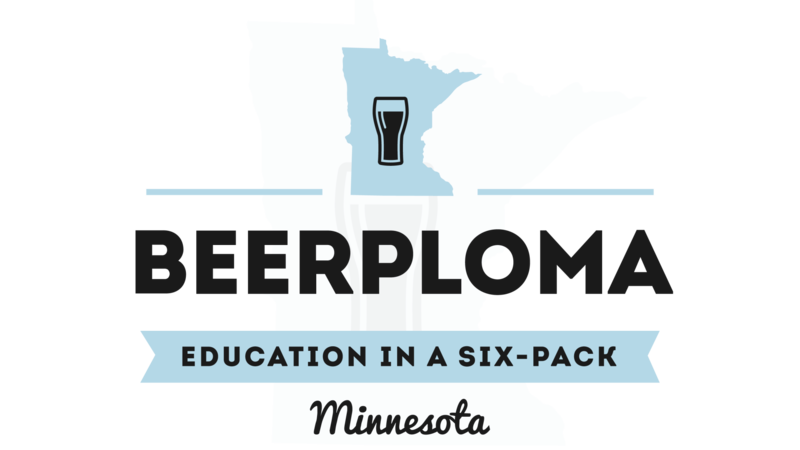 They also have kegged around 120 barrels of Salted Nut Roll Ale. The beer will be on tap in the Tin Whiskers taproom starting on Friday, April 19th. Cans will start rolling out to liquor stores during the first week of May. The only complaint that I heard from people about the Nut Goodie Porter is that it disappeared too quickly. Well, rest assured, there is a lot more of it, but the demand is still probably going to outpace the supply. So, don’t sleep on the Salted Nut Roll Ale. Why the Salted Nut Roll? Let’s be honest, if you aren’t from around here, you don’t get it. When I got my sneak peek down at Tin Whiskers, Jerard Fagerberg, an esteemed beer local beer writer and I talked about this. He grew up on the East Coast and had no idea how locally legendary the Salted Nut Roll was. Andy Bobst also explained that when BSG sends out a mixed palette of grain, they stick a few Salted Nut Rolls in there so brewers far and wide can enjoy the magnificence of this local treat. As a West St. Paul native, I understand the lore behind the Salted Nut Roll. Part of its charm is that it is not decadently sweet. The salty peanuts ensure that the caramel and nougat do not overpower with cloying sweetness. As a Cub Scout back in the mid-80s, I sold a helluva lot of Salted Nut Rolls to help pay my way to activities so as to avoid the wrath of my Den Mother. Sure, she baked cupcakes for us and said all the right things, but deep down, all she cared about were sales. So, I would trudge all around the neighborhood selling these candy bars. I remember being so worried that I wouldn’t make my quota and never get to go to camp. Well, lo and behold, I soon came to find out that these candy bars pretty much sold themselves. 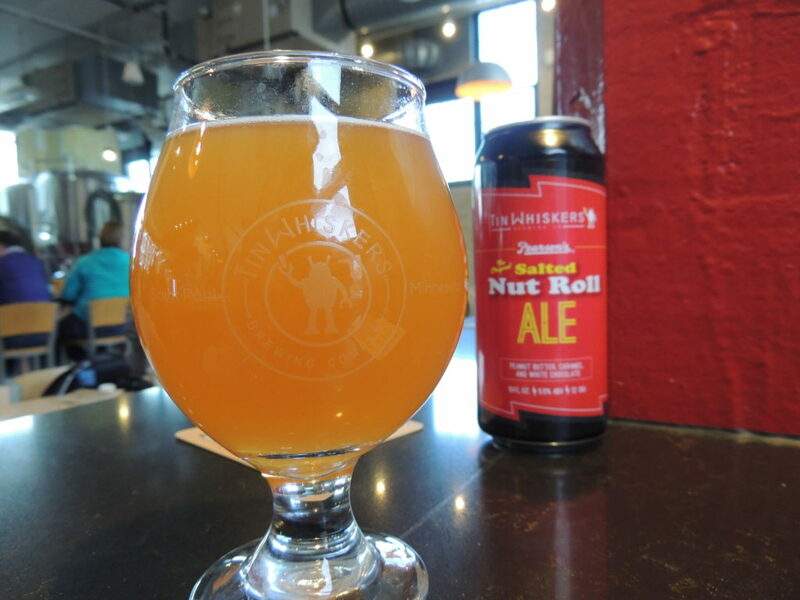 The Salted Nut Roll Ale is a balanced homage to the treat it is fashioned after. With the cream ale as its base, it’s not too sweet, not too heavy; Goldilocks would have found this one just right. The peanut aroma is in the nose at first. There is a bit of sweetness from the white vanilla. Why white vanilla you say? Because nougat has eggs in it and that would really mess with the beer. The sip starts out sweet. Then it finishes dry and a little bit of the roasted peanut flavor comes out. Tin Whiskers used PB2 powder in the beer as opposed to peanut butter because the oil in the peanut butter would wreck any semblance of head retention in the beer. In a glass, the Salted Nut Roll Ale electrifies the room with a vibrant apricot orange color. In the belly, it is light enough to want another one. This beer should go fast. So, I recommend getting your hands on a 4-pack early and often as soon as your favorite liquor store gets these gems out on the shelves. I will be at the tapping this Friday to have a few more of these fun collaboration beers. If you see me, say hello and tell me how many boxes of Salted Nut Rolls you sold as a Cub Scout. Prost!